Below you'll find a number of forms, videos and additional information to give you everything you need to make your visits as easy and stress-free as possible. We look forward to serving you! Watch this video before your Report of Findings appointment to learn what to expect from your care at MFW! Watch this video if you have a child receiving care at MFW! Watch this video if you are receiving prenatal or postpartum care at MFW! 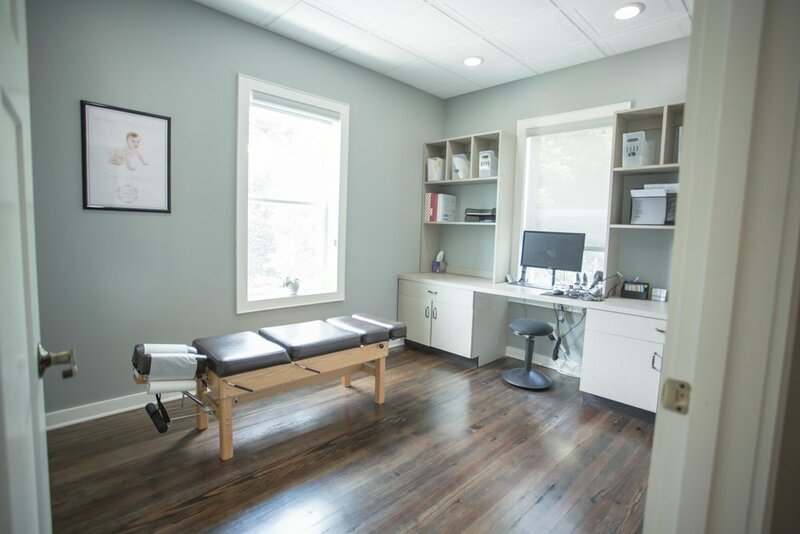 At Midtown Family Wellness, our examinations and procedures are geared toward the detection and correction of the "Vertebral Subluxation" (you can learn more about subluxations here). The procedures we use are therefore specifically selected for your spine and nervous system health. 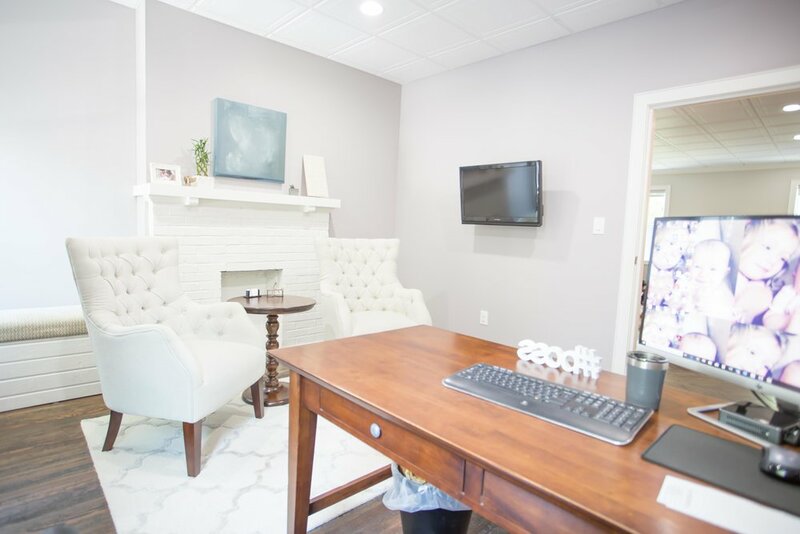 There are a couple of things that you should expect when you have a first visit at our office. Our Examination consists of a thorough spinal and nervous system exam which includes "Palpation." Palpation is checking your spine by hand. With this exam the doctor can feel areas of your spine that may be involved with subluxation. Spinal position, curvatures and muscle tone can also be examined as it relates to possible spinal subluxations. Your examination may also include some specialized equipment designed to better access your spine and nervous system. This examination could involve several components. The Insight Millenium will be used in the first part of the examination process. This involves reading spinal heat differences from one level of the spine to another, as well as from one side of the spine to the other. Heat is a byproduct of circulation, which is controlled by the autonomic nervous system. From this we can see how the subluxations may be affecting different functions of your nervous system. In the second part of this examination, scans may be performed on the surface of your spinal area to evaluate surface electrical impulses and measure them along your spine. This helps measure the effect of subluxations on the motor systems and the affect subluxations may be having on your muscles. These test have zero radiation and are super safe. The importance of each of these tests will be explained to you at your Report of Findings. However, it is important to note that this examination helps scientifically understand the subluxation processes going on in your spine. It also gives us a baseline for future tests so we can accurately measure your progress to see how your spine is correcting and your nervous system is functioning. Using these examination procedures is much more accurate than just depending on "how you feel" on any given day. Spinal X-rays may be recommended depending on your age and situation. There are many reasons why we would not take x-rays on certain patients including pregnancy, most children, recent usable spinal x-rays and some other various situations. With this important information we can make a more accurate determination of the type of adjustments your spine needs as well as the ongoing frequency of your care. Your scans will be explained to you and covered in detail at your Report of Findings. Your Report of Findings will be scheduled within a few days of your initial visit. This visit is your most important visit and may take up to 30 minutes. It is at your Report of Findings that we will give you a care plan and go over any special instructions you will need to obtain the best and fastest possible results. We have set aside specific times for these visits so as not to interfere with regular patient care hours. Our staff will schedule your Report of Findings with you after your first visit. Our Chiropractic Care utilizes the most modern chiropractic analysis, adjustment procedures and equipment available. We consider subluxations to be a serious threat to the quality and quantity of your health and that of your family. It is therefore imperative that we utilize the most modern, researched and time-proven procedures to help you. We feel you're worth it!